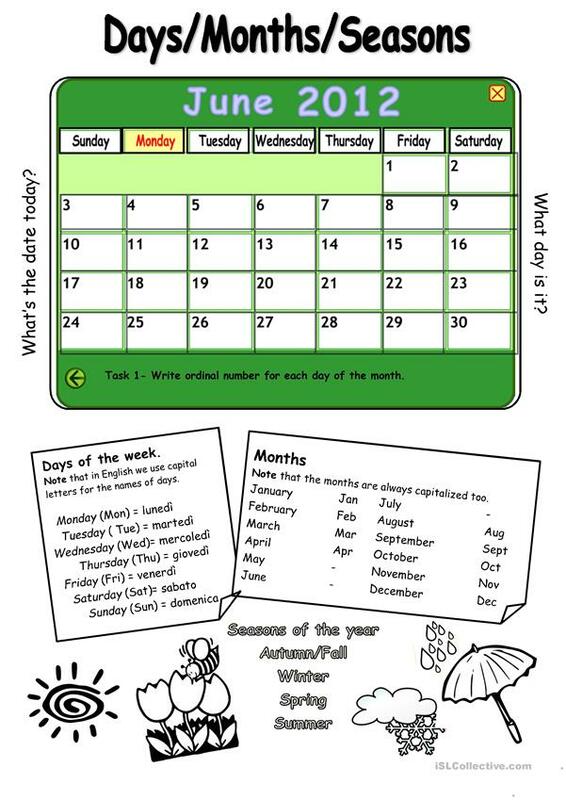 Hi.This worksheet can be used to teach days of the week, months and seasons of the year as well as to practise ordinal numbers (one task is included). The present printable, downloadable handout is best suited for business/professional students, high school students, elementary school students, kindergartners and nursery school students and adults at Beginner (pre-A1) and Elementary (A1) level. It is focused on the topic and words of Days of the week.